Applicants to the MBA program at The Citadel must submit the following materials: GMAT scores, essay/personal statement, official undergrad transcript, and at least two letters of recommendation. Other materials, such as a resume or CV, proof of state residency, list of extracurricular activities, and an interview, are all optional but recommended....Applicants to the MBA program at The Citadel must submit the following materials: GMAT scores, essay/personal statement, official undergrad transcript, and at least two letters of recommendation. Other materials, such as a resume or CV, proof of state residency, list of extracurricular activities, and an interview, are all optional but recommended. GRE scores will not be taken into consideration. Interestingly enough, while GMAT scores are given due attention, The Citadel places greater emphasis on an applicant's undergraduate GPA and essay/personal statement, indicating the school's vested interest in working with students who show exceptional aptitude, work ethic, and sincere desire to attend The Citadel. 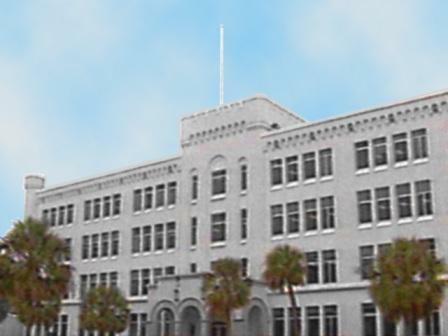 The Citadel’s Career Services Center maintains an online job and resume database for cur­rent students and alumni. The Center also has working relationships with several online job boards, which give students a wide breadth of places to begin their job hunts. In addi­tion, the Center organizes several career fairs, which are open to the entire school commu­nity. As one “of the most highly recognized business schools” in the area, recruiters and companies will be on the lookout for recent graduates, but overall “career training and placement” are areas in need of attention from the administration. One student enrolled in a dual-degree PharmD/MBA pointed out that, “Boeing is expanding into Charleston, and a lot of opportunities are passed along to the Citadel MBA students.” Another stu­dent, a childcare administration major, tells us, “There is a very active MBA Association that is always organizing activities.” Additionally, the School will often receive “many interesting speakers,” and “alumni visit often,” all of which offer unique and abundant networking opportunities for MBA candidates on the job-hunt. If there is one word students at The School of Business Administration at The Citadel keep repeating, it’s “reputation,” “reputation,” “reputation,” with “location,” “prestige” and “affordability” all coming in at a close second. The Citadel’s long-standing record for “building leaders and sound decision-makers,” educating “quality students,” and having “by far the best MBA reputation in South Carolina” make the School a universally respect­ed institution worldwide. What’s more, just saying you go to The Citadel “gets a reaction from people.” Students can also benefit from “in-state tuition” and “excellent profes­sors”—41 in all—“with incredible work and academic histories,” most of whom “are working professionals, some with military backgrounds.” According to one sales manage­ment major, the “administration and professors are flexible, encouraging, and easily accessible. The MBA program has challenged me in many ways, and the overall educa­tional experience has been very rewarding.” Another like-minded student tells us, “All professors consider the global perspective and tailor their classes” accordingly. The MBA program at The Citadel is roughly a two to six year program, depending on stu­dents’ work status and class load, totaling 36 credit hours. Other dual-degree programs, such as the PharmD/MBA and MD/MBA will often require the same amount of time from students. Candidates have the option to pursue areas of study in sports manage­ment, financial services, supply chain management, and project management. In their course of study, all enrolled students are required to take classes that specifically empha­size cooperative learning and experiential learning, while internships and entrepreneur­ship courses are both offered but not required. One unique co-curricular offering at The Citadel is the Mentors Program, which matches MBA students with leaders in the local business community. Students who choose to par­ticipate in this program will be matched with a prominent business leader based on com­mon interest and career path. Students also have the option to pursue study abroad, which offers programs in Ireland, Spain, France, and the UK. A 28 station financial lab opened in September 2010. Ernest Hollings - U.S. Senator, S.C.
Want more info about The Citadel College of Graduate & Professional Studies Part Time MBA? Get free advice from education experts and Noodle community members.